AuSable Urology specializes in the diagnosis and treatment of disorders of the urogenital system. We're committed to addressing the urological health needs of the whole family through preventive and procedural care. Our experienced staff provides professional, courteous, and confidential care using state-of-the-art urology equipment and procedures. 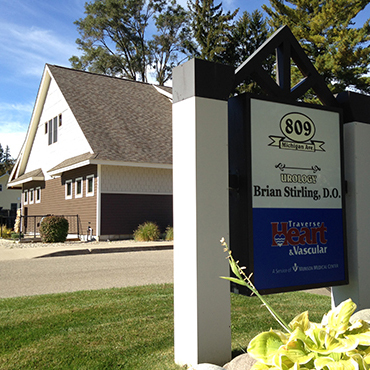 Our surgical urology specialists treat male and female urological conditions and is affiliated with several northern Michigan hospitals including Munson Healthcare Grayling Hospital, Munson Healthcare Cadillac Hospital, Munson Medical Center, Otsego Memorial Hospital, and MidMichigan Medical Center-Clare. We offer treatments for the urological conditions that affect men of all ages. Listed below are conditions you may suffer from that we could treat. Please contact the office to set up an appointment to be diagnosed and determine the most effective treatment for your situation. We use the most up-to-date procedures to diagnose and treat female urological conditions. Below is a list of conditions that we diagnose and treat in female patients. Please contact the office to set up an appointment. We treat patients as individuals with unique needs. Whatever urological conditions affect you, we will use the most effective and up-to-date procedures available to treat your condition. Please make an appointment by calling 989-348-6610. Our office hours are Monday through Friday, 8:30 am - 4:30 pm by appointment. We ask that first-time patients arrive at least 30 minutes early to fill out their new forms. If you need to cancel or reschedule an appointment, please give us at least 24 hours notice. We will bill your insurance company or provide an itemized bill, which you may forward to your insurance company for reimbursement. You are ultimately responsible for your bill and payment is expected at the time of your visit or elective surgery. For your convenience, we accept cash, personal checks, MasterCard ,and Visa. We participate with Medicare, Medicaid, Blue Cross/Blue Shield, Priority Health Insurance, and other major insurance programs. If you have questions regarding insurance coverage, please call our office at 989-348-6610.